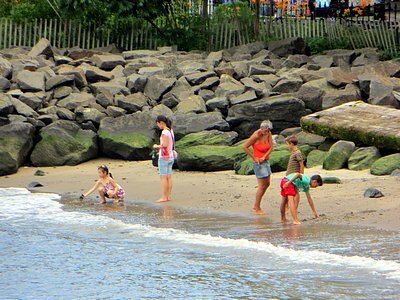 Despite the heat and humidity, many people were out enjoying the holiday. 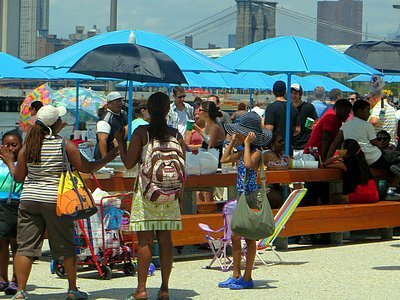 The Picnic Peninsula, near the landward side of Pier 5, was crowded. 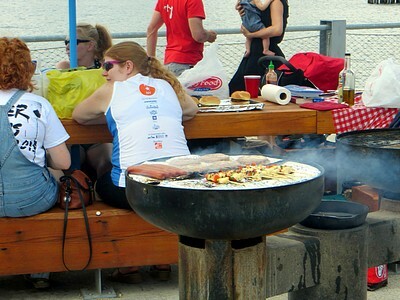 Every grill was in use. 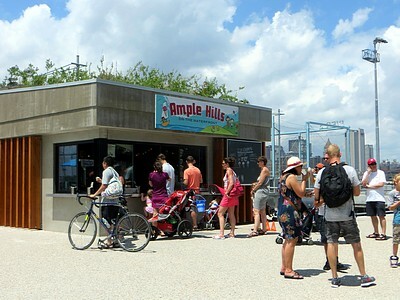 There were plenty of customers lined up for ice cream at the Ample Hills Creamery concession, Pier 5. 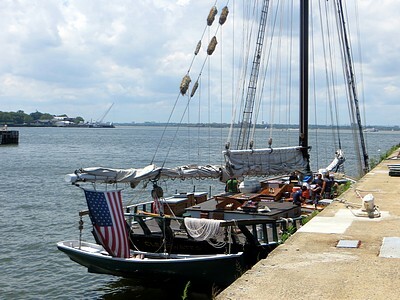 The Hudson River sloop Clearwater was docked at Pier 5. 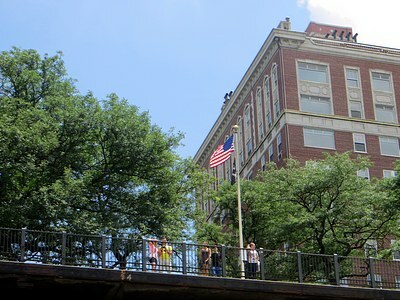 A view of the Brooklyn Heights Promenade from Brooklyn Bridge Park. 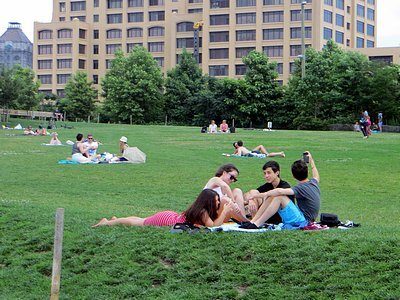 Sunbathers were out on the Harbor View Lawn, Pier 1. 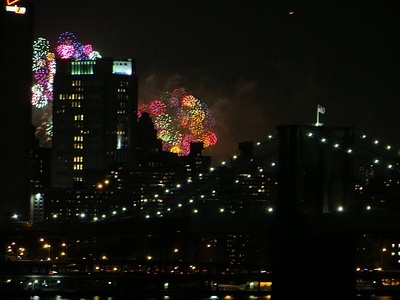 Others were on the beach near the Main Street entrance to Brooklyn Bridge Park, in DUMBO. 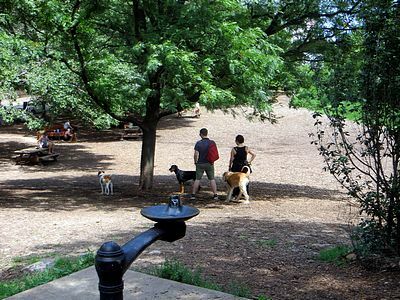 Canine friends wisely chose to stay in the shade at Hillside Park. 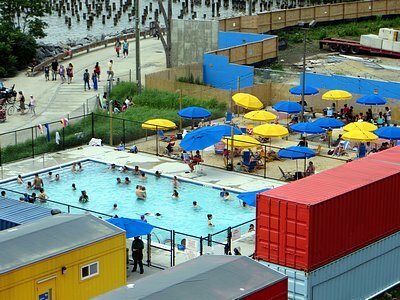 Lots of people were cooling off in the pop-up pool, while others enjoyed drinks under umbrellas at Lizzmonade. 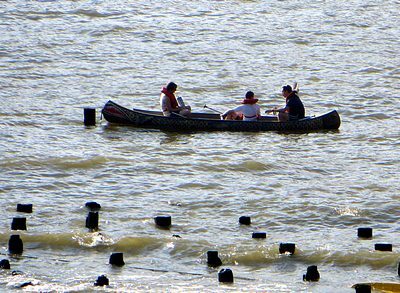 This canoe was being paddled between piers 2 and 3. 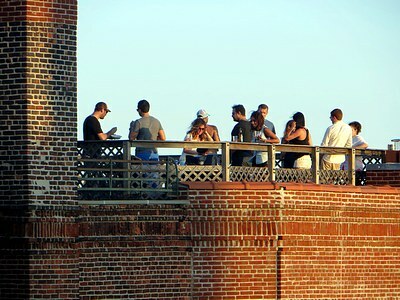 In the evening, there were lots of roof parties. 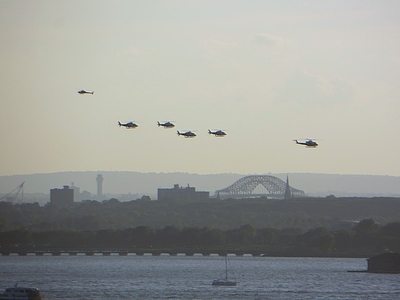 Helicopters flew in formation over the upper harbor and the Hudson. 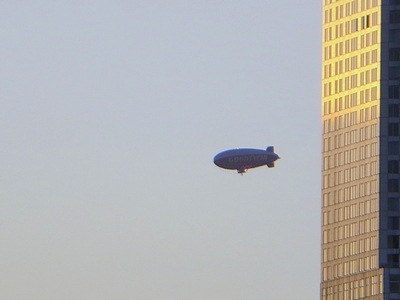 “It’s the blimp, Frank, it’s the blimp!”. 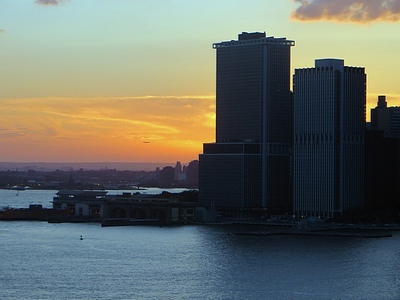 The sun sets on Independence Day 2013. 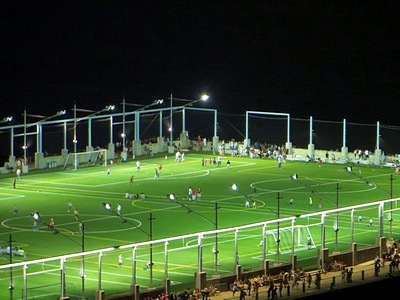 Soccer games were being played on Pier 5. Thanks for the Beefheart quote.